Welcome Home! Move-In Ready 2658 Sq Ft 5 bed & 2.75 bath (or 4 bed + Large Bonus) home on a dead end street in Sought After Neighborhood of Mountain Creek! Spacious bright Kitchen w/ Eating Nook & Breakfast Bar w/ Tile Counters. Family Room w/ Gas Fireplace, Formal Living & Dining & Main floor Bedroom w/ adjacent ¾ Bath. Master retreat w/ walk-in Closet & 5 Piece Bath on Upper level w/ the add. Bedrooms. Community Park w/ Play Structure & BB Court. Close to Shopping! Too Much to List, Must SEE!! Lot Size: 0.16 Acres / 7116 Sq. Ft. Directions:From 410E towards Buckley, Left on 214th Ave E, Right on 96th Street E, Left on 230th Ave E, Left on 92nd Street E, Left on 226th Ave E, Right on 94th Street E, Home will be on the right! SchoolsClick map icons below to view information for schools near 22515 94th St E Buckley, WA 98321. Buckley Real Estate at 22515 94th St E Buckley, WA 98321. Description: The real estate listing at 22515 94th St E Buckley, WA 98321 with the MLS# 1409721 has been on the Buckley market for 65 days. This property located in the Mountain Creek subdivision is currently listed for $445,000. 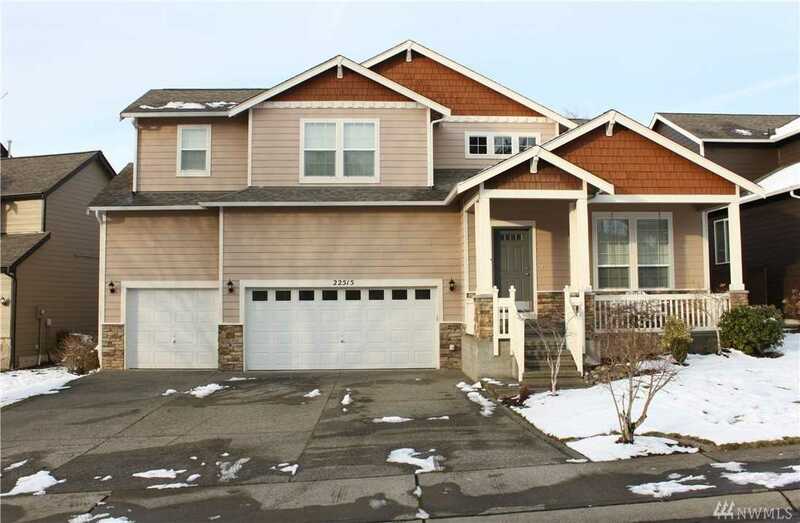 You are currently viewing the property details of the NWMLS listing at 22515 94th St E Buckley, WA 98321, which features 5 bedrooms and 3 bathrooms, and has approximately 2658 sq.ft. of living area.